Baby Dancercise is a fun, dynamic and action packed class for children between the ages of 2 and a half and 4 years old. These classes are designed to help children improve co-ordination, gross and fine motor skills, musicality and most of all confidence in their own abilities. We use a wide range of different styles of music and stimulate children's imagination with fun storylines and illustrations. 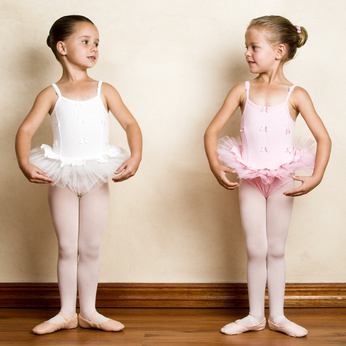 ​Baby Ballerinas is a great introduction to any kind of dance, from ballet to tap, from modern to street dance. Classical Ballet provides many benefits to students, including improving posture, increasing flexibility and strength, developing co-ordination of mind and body, and nurturing the ability to focus. It also gives children a sense of movement, rhythm and an appreciation of music. At Dancercise we teach the Royal Academy of Dance (RAD) method. With over 13,000 members spread across 79 countries, the RAD is one of the largest and most influential dance education and training organisations in the world. Our pupils are trained in the Graded and Vocational Graded Syllabi and encouraged to take part in exams as a great confidence builder and performance experience. ​However exams are not compulsory and alongside the syllabi Dancercise offers the chance to pupils to discover how fun and enjoyable Ballet is. As Ballet enhances performance ability and provides a strong foundation for all other forms of dance, we strongly recommend the value and benefits of such training to all our pupils. Street Jazz and Hip-Hop are the trendiest and most popular form of dance in the UK today. Dancers will learn skills and techniques to develop musicality, rhythm, stamina, popping and locking, and will enjoy funky dance routines and fresh and hip moves to the latest music tracks! Dancercise Street Jazz and Hip Hop classes are highly energetic and our fantastic teachers will encourage and nurture pupils natural instincts to perform and develop their own style and interpretation. Tap is one of the most enjoyable and rhythmic forms of dance providing great exercise and great fun! Dancercise's unique style is a thrilling mix of tap technique and fun dance routines on upbeat music from past and present. Tappers will enjoy hopping, flapping and listening to magical sounds of taps, while developing musicality and sense of rhythm, and improving fitness and co-ordination. All pupils will have the option to undertake exams with the IDTA and the ISTD. Dancercise Tap classes are geared for all levels and ages, so come along and join in the fun!